145. 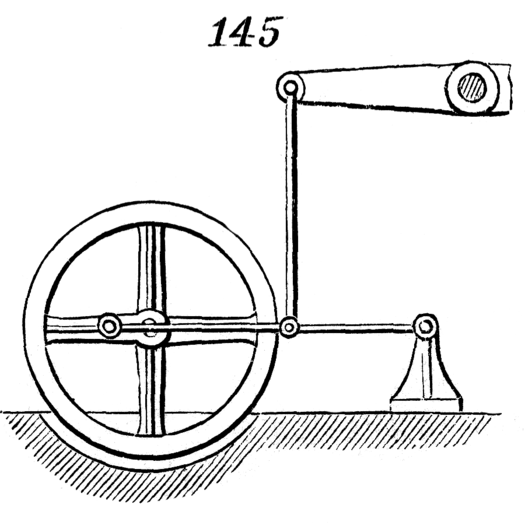 Reciprocating curvilinear motion of the beam gives a continuous rotary motion to the crank and fly-wheel. The small standard at the right, to which is attached one end of the lever with which the beam is connected by the connecting-rod, has a horizontal reciprocating rectilinear movement. Brown originally refrred to the “small standard at the left” but he must mean “right.” We have so corrected.